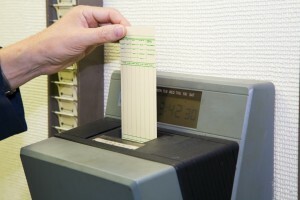 Employers take note – major changes may be coming to overtime regulations. According to the U.S. Department of Labor (DOL), a proposed rule change would extend overtime protections to nearly 5 million white collar workers. The proposed changes are anticipated to be finalized within the coming months, and employers should start planning now. By way of background, on July 6, 2015, the DOL issued a proposed rule revising the Executive, Administrative, Professional, Outside Sales and Computer Employees exemption to the Fair Labor Standards Act (FLSA). This is commonly referred to as the FLSA’s “white collar” exemption. For employees to qualify under this exemption, they must meet certain minimum criteria related to their primary job duties and be paid a salary of not less than $455 weekly ($23,660 annually). An exemption is also available for certain highly compensated employees, who earn at least $100,000 annually. The rule is in the final rule stage. It is not clear when the new rule will be issued and what changes, if any, to the original proposed rule will be made. Nevertheless, employers should be prepared to adjust their employee classifications if the rule takes effect.